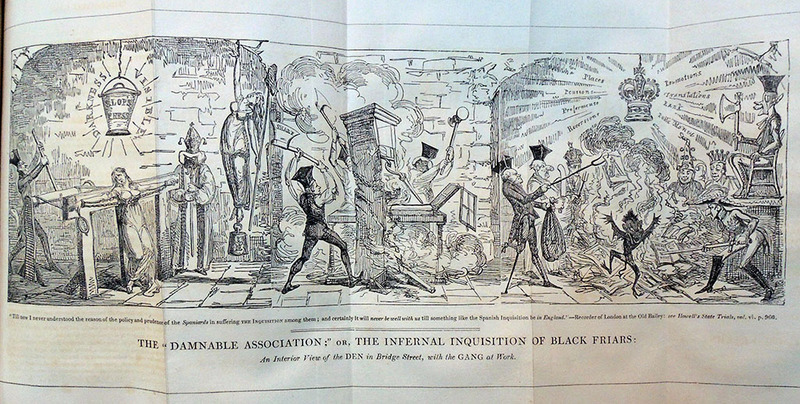 The Lenny Bruce of the early nineteenth century, William Hone (1780-1842) was a radical comic writer and publisher who joined forces with the visual artist George Cruikshank (1792-1878) to expose and ridicule abuses in British politics as well as the news media supporting the conservative government. 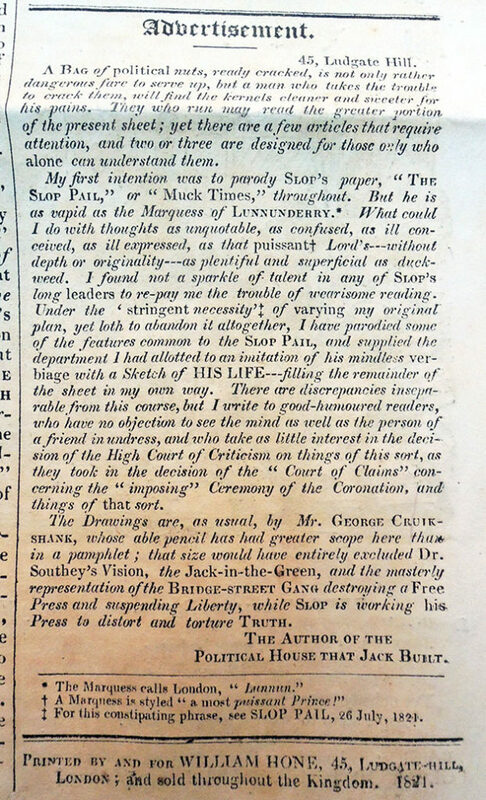 Hone was charged with three counts of libel in 1817 but brilliantly acquitted of all charges citing his use of parody. 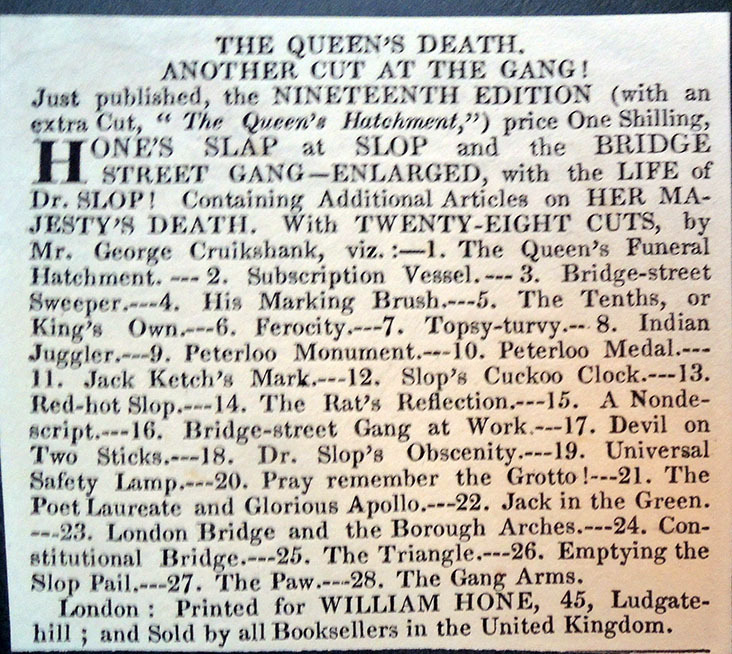 It wasn’t a crime to be funny. 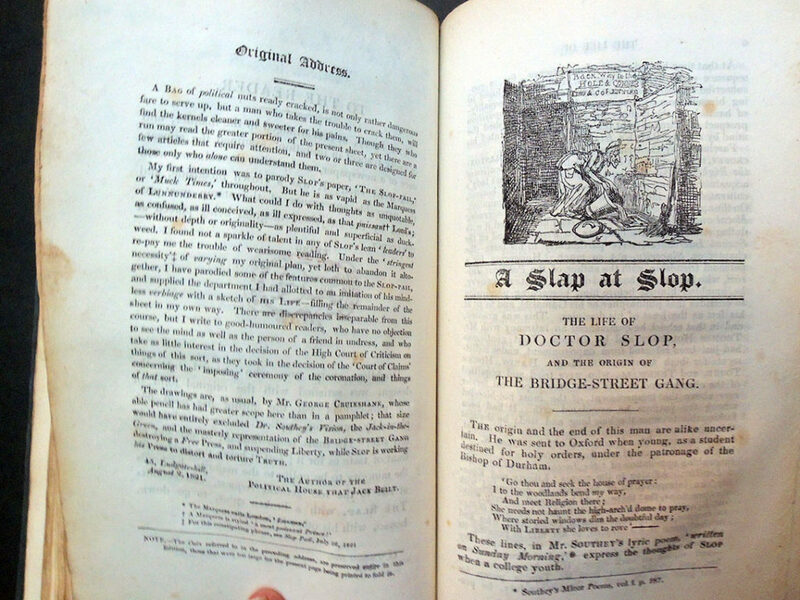 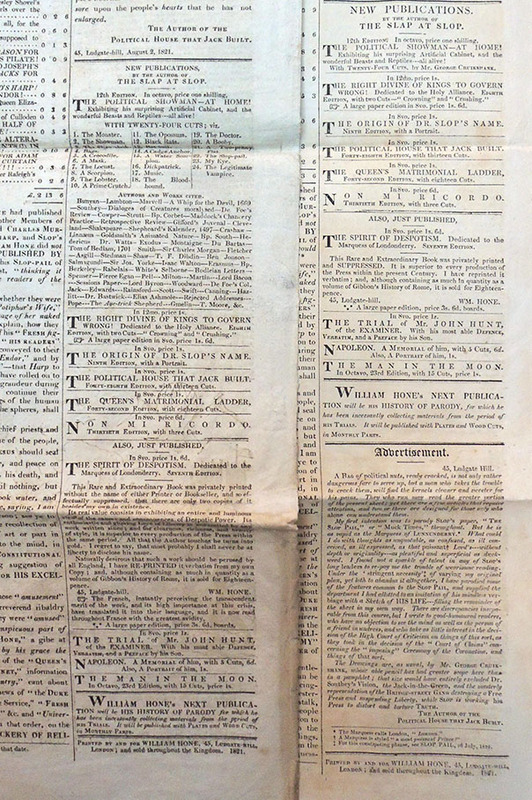 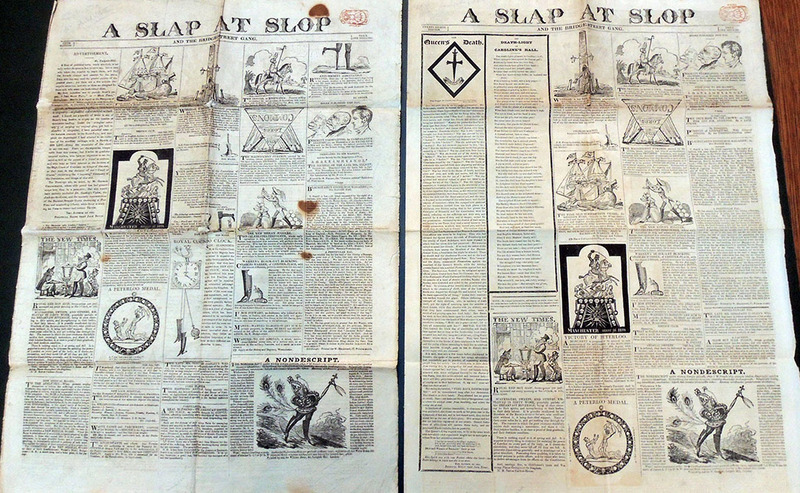 One of the greatest but least celebrated publications issued by the two men was a serial news sheet titled A Slap at Slop, lampooning the work of John Stoddard, publisher of The Times and The New Times newspapers. 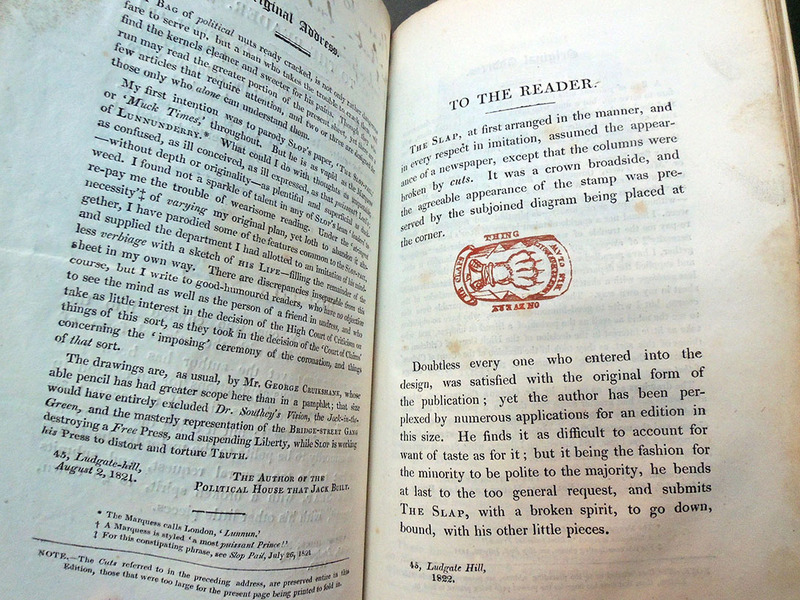 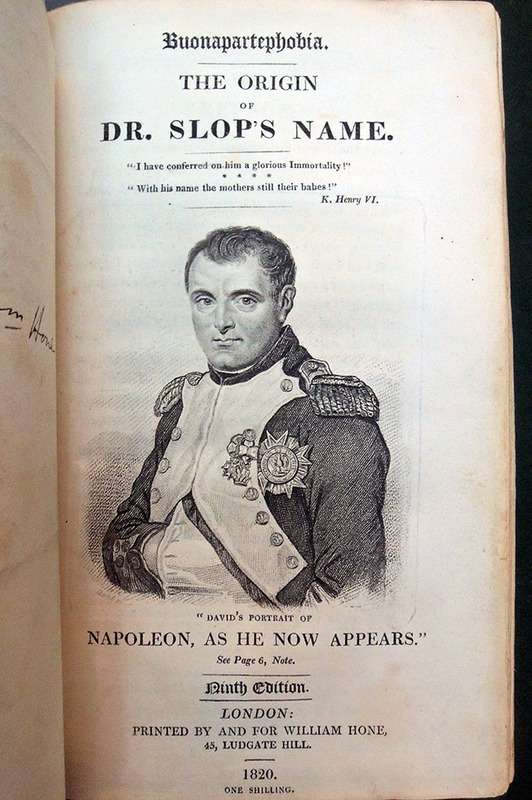 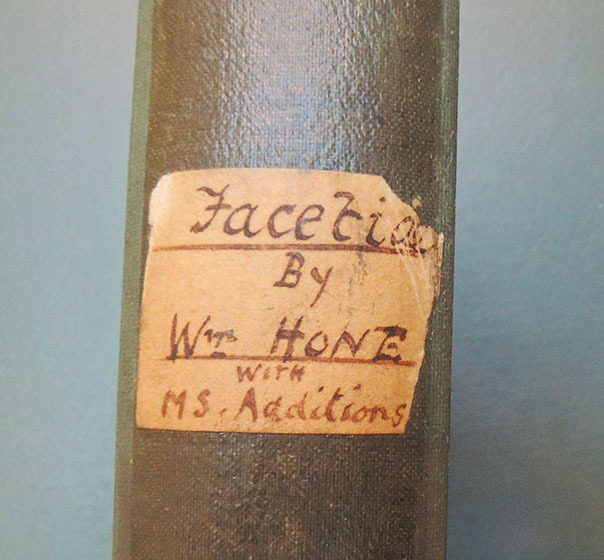 Along with two variant editions of A Slap at Slop, the Graphic Arts Collection holds Hone’s personal copy of Factiae and Miscellanies (1827), a collection of 14 of his tracts and 120 engravings by George Cruikshank, which includes Hone’s manuscript annotations, autograph letters, newspaper clippings, and a likenesses of William Hone and George Cruikshank. 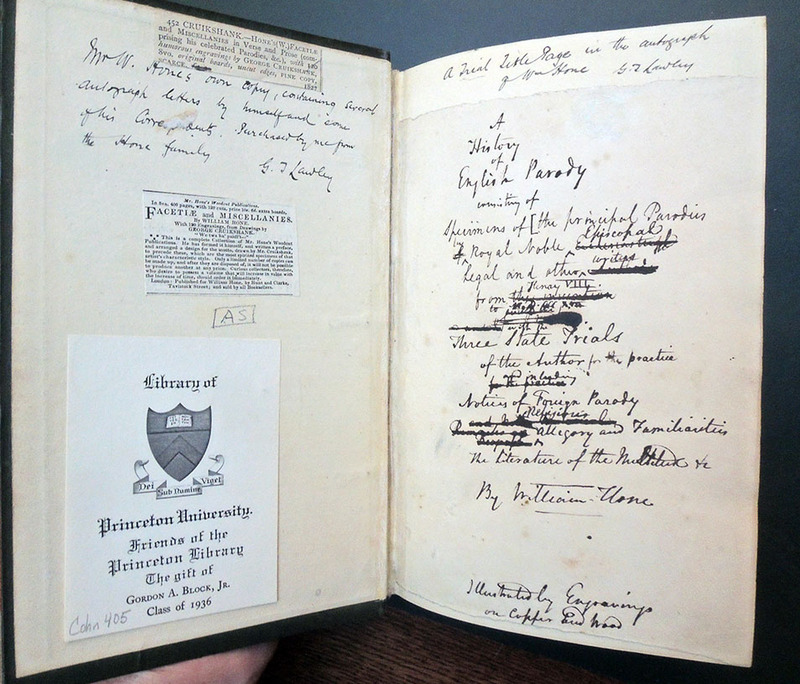 These came to Princeton thanks to the astute collecting and generous gift of Richard W. Meirs, Class of 1888 and Gordon A. 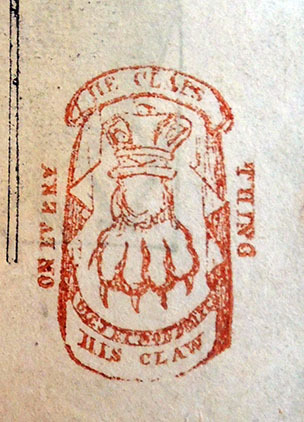 Block Jr, Class of 1936. 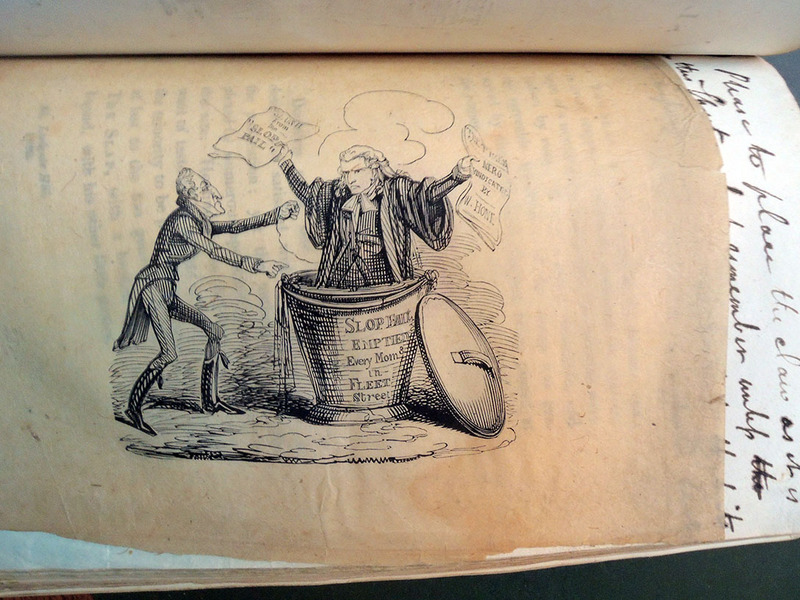 This entry was posted in Ephemera, Illustrated books, prints and drawings on January 19, 2019 by Julie Mellby.